OpenSUSE comes to Windows 10. Plus, can you trust WhatsApp? Welcome to the weekly roundup. This is the first in a weekey series I'm calling ‘weekly roundup’ in which I will highlight some of the hottest stories of the week from the world of Linux and open source. This week, I want to call your attention to some excciting Windows 10/openSUSE news and alert you to a backdoor vulnerability in WhatsApp that allows messages to be intercepted. If you are a Windows 10 user who also dual boots with openSUSE, I have some good news for you. You don’t have to dual boot or increase system overload with a virtual machine. You can now run most, if not all, openSUSE tools within Windows 10. Azure is the most critical part of Microsoft’s survival in the mobile-cloud era. And, as in other clouds, Linux is the dominant OS in Microsoft's cloud, and its usage is only increasing. This means the company needs to provide tools within Windows 10 that allow server admins to manage their Linux machines running on Azure, right from Windows 10. Microsoft tried to work on PowerShell, but it needed much more work to bring native UNIX capabilities. Microsoft resorted to a workaround, by creating a user space for Linux within Windows so you can natively run Linux tools and utilities on Windows to manage their server. Microsoft chose the most popular cloud operating system, Ubuntu, for the job and Bash on Ubuntu on Windows was born. However, there are many users who don’t use Ubuntu. OpenSUSE engineers have come out with their own solution that replaces Ubuntu bash from Windows 10 and installs openSUSE bash on it. Hannes Kühnemund, Sr. 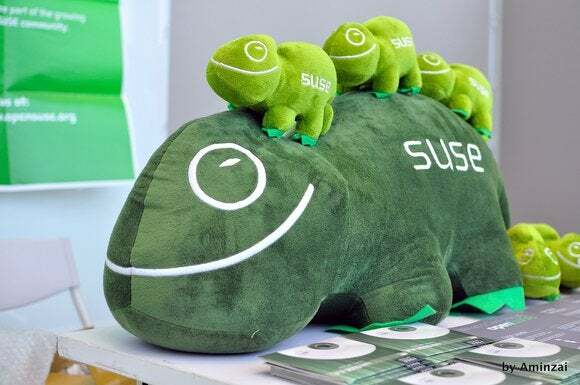 Product Manager SUSE Linux Enterprise SUSE, has written a blog post detailing how to install openSUSE on Windows 10. WhatsApp gained popularity when it enabled end-to-end encryption by default. Many users are looking for services that offer such encryption in an age when our governments are increasing mass surveillance. There are ordinary people who do want their conversations to remain private. WhatsApp is used heavily by such people. I have some bad news for those users. According to a report published in The Guardian, Tobias Boelter, a cryptography and security researcher at the University of California, Berkeley, has found that Facebook, the owner of WhatsApp, can very easily intercept communications, allowing governments to gain access to communication. Boelter reported the backdoor vulnerability to Facebook in April 2016, but was told that Facebook was aware of the issue, that it was “expected behavior” and wasn’t being actively worked on. The Guardian has verified the backdoor still exists. Should you be worried? I would heavily suggest switching to Signal, which is kind of the gold standard when it comes to secure messaging apps. Swapnil Bhartiya is a journalist and writer who has been covering Linux & Open Source for 10 years.